What is Egg Foo Young? 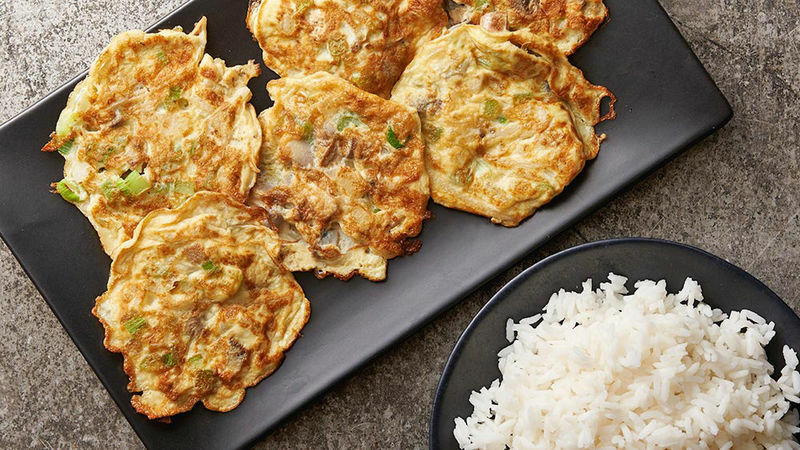 A staple of Chinese restaurants in America, the best way to describe this classic Asian dish is somewhere between an omelet and a savory pancake. This meatless version is a great starter recipe; on restaurant menus you’ll also find versions with chicken, pork, beef, shrimp or other meats. If you’re eating these as a meal, you can top with brown gravy or another sauce, and for an appetizer, serve the sauce on the side for dipping.